This is heartbreaking. According to Fox News, a black American woman from Maryland, was stabbed to death on Saturday after she rolled down her car window to give money to a lady who was holding a sign that read, “Please help me feed my baby,” police said. 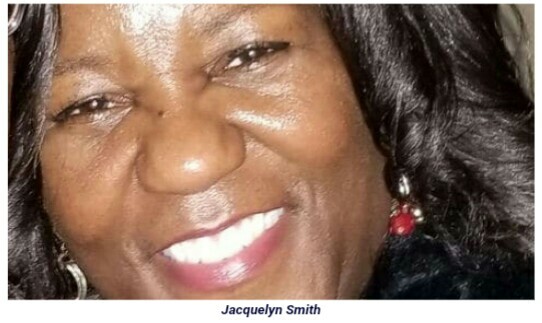 Jacquelyn Smith, 52, was killed around 12:30 a.m. Saturday while she was in her automobile with two other relatives in Baltimore after attending a family gathering, FOX Baltimore reported. Smith was in the front passenger seat when she spotted a woman who appeared to be holding a baby and a cardboard sign asking for help. After Smith rolled down her window, an unidentified man approached their vehicle to thank her for her kindness, police said. The man then allegedly tried to steal Smith’s wallet, leading to a struggle before he plunged a knife into her chest. The man and woman fled the scene and Smith’s family rushed the 52-year-old to the hospital, where she later died. The attacker was described as a man in his 30s, about 6 feet tall with a goatee. The lady, who appeared to be in her 20s, was about 5 feet, 4 inches tall and was last seen wearing a brown jacket.